Would you like to receive spiritual gifts and anointings that you see in other people? Would you like to have a portion of, or even double, the giftings of some of the heroes of faith of olden times? By receiving spiritual mantles from other people. What is a spiritual mantle? Jonathan Edwards had a mantle for preaching salvation. Even though he read his sermons (as was the custom of the day), people fell under the power of the Holy Spirit and the First Great Awakening ensued. Charles Finney had a mantle for prayer and preaching. God used him to birth the Second Great Awakening. Finney’s anointing–and the Presence that he carried–were so powerful that he would ride through towns without even getting off the train, and revival would break out in those towns. He would walk into factories, and the workers would fall to their knees and confess their sins to God before Finney would say a word. Kathryn Kuhlman had a special relationship with the Holy Spirit. She carried a mantle for preaching the Word, with confirmation by the Holy Spirit through healings and miracles. A.W. Tozer carried a mantle for seeing God as He really is in the third Heaven, and communicating what he saw to earth. How can you receive spiritual mantles from other people? 1. Become a student of your father’s life. This works whether your spiritual father is alive or dead. He or she does not have to be alive in order for God to give you an impartation of the mantle your father carried. 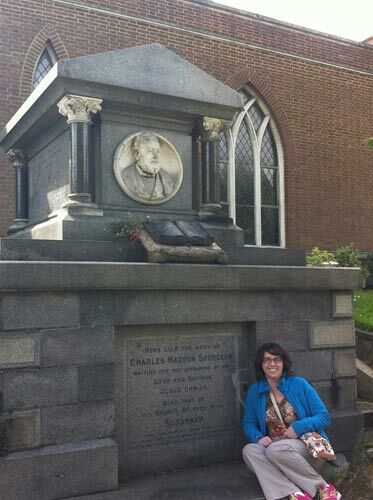 For example, one of my heroes is Charles Finney. My life has been GREATLY influenced by his. I’ve never met him; he died in 1875. However, I have become a student of Finney’s life. I read his books. I read his journals and biographies. My own pastor is a tremendous man of God. He is not only a father, but also a humble student. He studies to show himself approved unto God, and the revelation he gets from the Lord is amazing. I desire to have a devotional life like that, and to have Papa speak to me like that too! I love to listen to Bill Johnson teach. Anything that man says seems to be right in line with God’s call on my life. His revelation of “on earth as it is in heaven” has changed my life many times over. You place someone in the role of spiritual father when you honor him or her as an example and hero in your life. When you do that, you can ask God and He will give you an impartation from your father’s life. 2. Emulate your spiritual father in every godly way. Too often, we tend to think that the instructions in Hebrews 13:7-9 are a collection of seemingly disparate ideas, almost like a chain of individual Proverbs. However, this is not the case. That what worked for our fathers will work for us. The truths our leaders taught us are still true for us. Because Christ doesn’t change, neither does His doctrine. Therefore, we should not allow strange, new doctrines to carry us away from truth. We are to imitate our spiritual fathers in doctrine, faith, and conduct. Listen intently as your father teaches, take the instruction to heart, and act on it. Notice the prayer life of your father and try to imitate it. Dig into the truths your father teaches you. Seek to understand those truths more clearly, so you can grow like your father has grown. Emulating your father in every godly way changes you and honors your father. When you do that, God will honor you and bless you with more of the mantle your father carries. 3. Ask God to give you everything your spiritual father has/had that He desires you to also have. 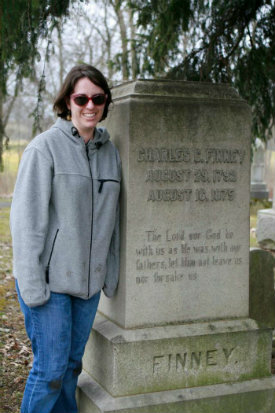 When I was at Finney’s grave, I didn’t ask God to turn me into Charles Finney. I’m not Finney and never can be. However, I do want everything Finney had that lines up with God’s purposes for my life! So ask! Ask! Ask! God honors bold requests. He answers specific prayers. Ask God for a double portion of His Spirit that was in Finney, Tozer, Moody, Edwards, or is still in Ron Phillips, Bill Johnson, T.D. Jakes, Joyce Meyer, or others. You have nothing to lose and everything to gain by asking. Do you desire spiritual mantles from other people? You should. It’s a godly desire. It’s how spiritual fatherhood and sonship work. Elisha asked Elijah, his spiritual father, for a double portion of his spirit before he was taken to Heaven (2 Kings 2:9). He got it, too! So don’t delay! Ask God for the mantles you desire! Ask Him for the gifts and anointings you desire! Then become a student of your spiritual father’s life and emulate him or her in every godly way. As you do that, you will receive an impartation from your father’s life. You can receive the spiritual mantle you desire. Whose mantle will you ask God for today? Thank you. I enjoyed reading this. I was told that others will impart within me and I will also impart within others. impartations is the word I was told. Today my pastor told me that I have call annoiting on my life and he’s releasing a portion of his mantel over me. Funny thing is….I was gping to ask him and I didnt even need to…He knew. He imparted in my life Like I told people would. At my husband’s funeral his gifts were passed to me. Frank prayed for someone to pass them on to because his children would not follow in his steps. I can sometimes feel his presence in my daily walk. To God be all the glory. That’s pretty cool! Thank you for sharing! It’s so cool how everybody manifests differently with their gifts and angels. Even Elisha’s mantel was 2x extreme as his fathers. I now know that i walk in my fathers mantle and more. He was a skilled long caring man who was a gift and when he was present you knew. My passion for missions and to serve those who are lost is a huge burden that i feel daily. I grieve when there is division. 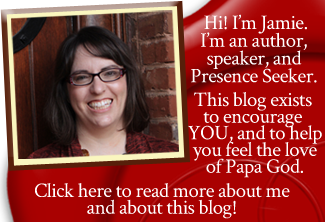 Very helpful, I love this article! Bless you!